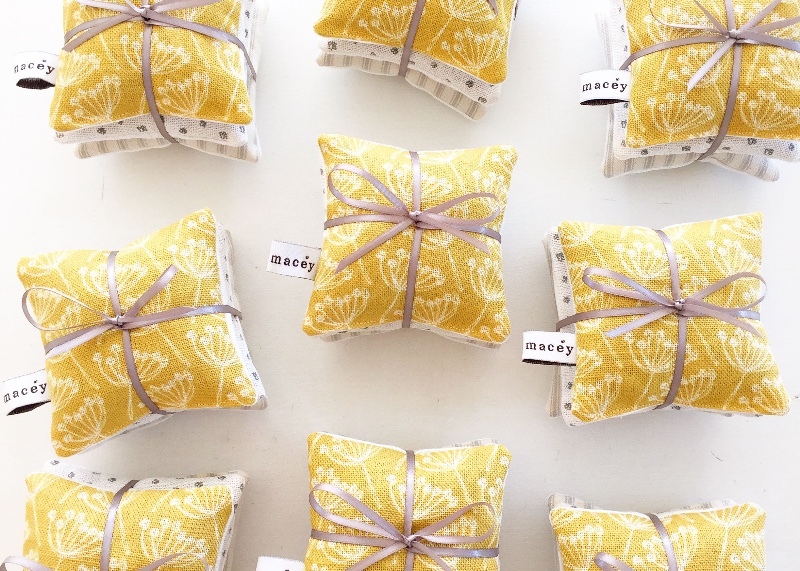 From a studio in the Cotswolds countryside Charlotte Macey and her small team hand make beautiful items for the home. 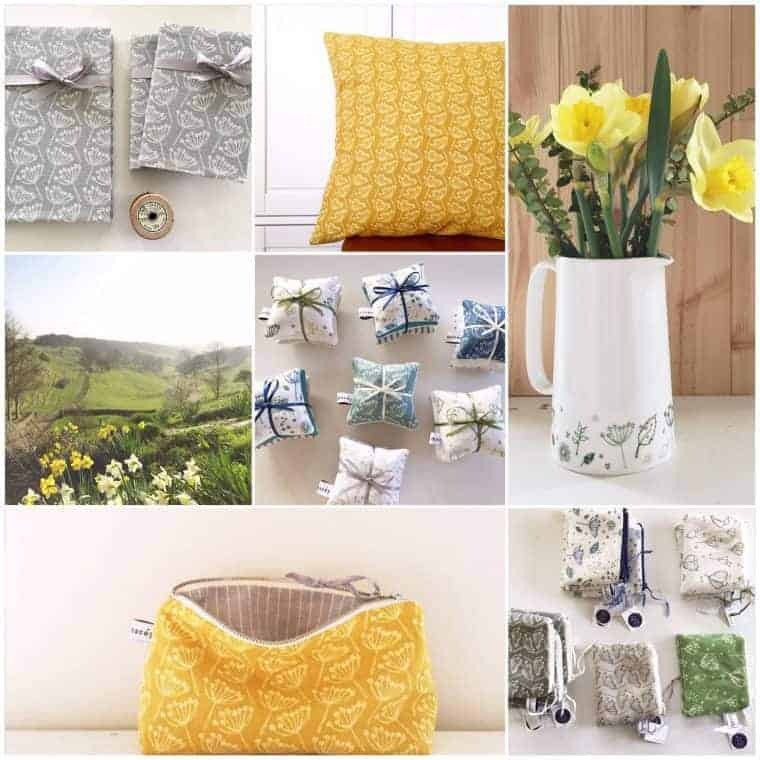 Designs range from linen cushions and accessories to co-ordinating stationery and crockery. 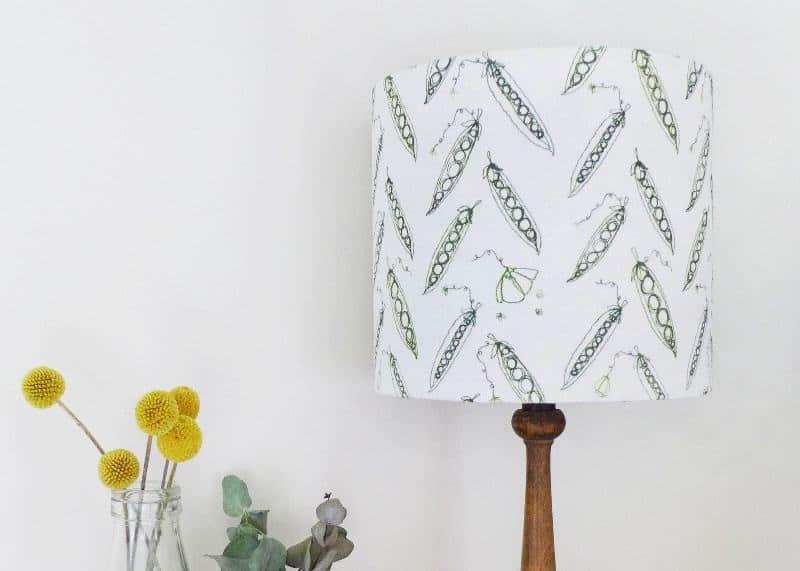 Originating in embroidery and with a degree in Textile Design, Charlotte incorporates embroidery and her own range of printed fabric within her products. 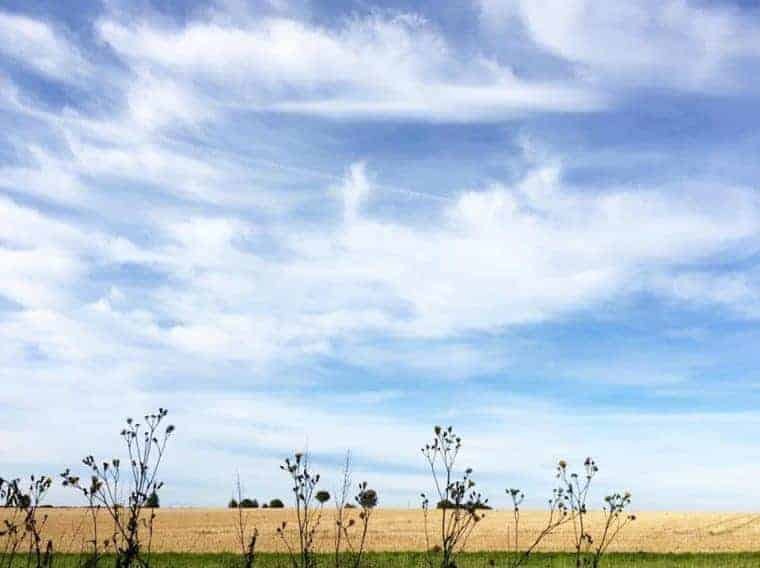 She finds inspiration in the colours and flora of the countryside where she grew up. 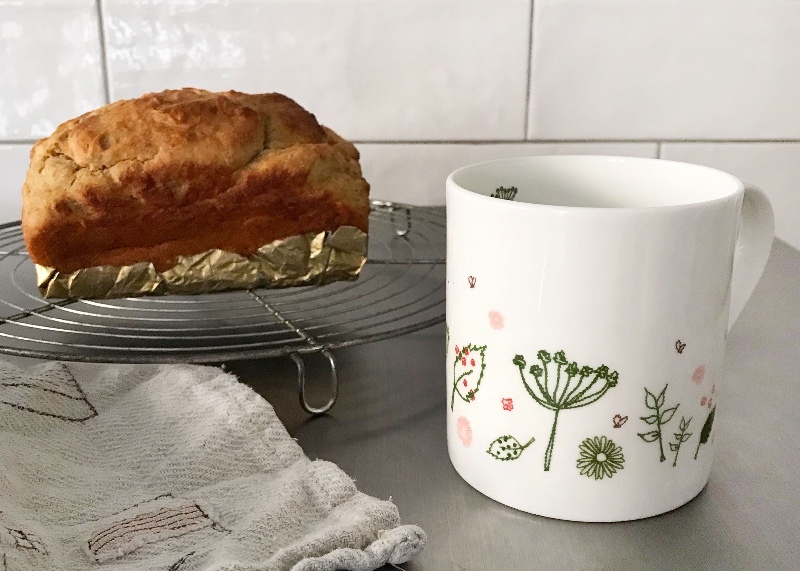 Charlotte now holds embroidery workshops in her Cotswolds home, where you can spend a few hours learning how to free machine embroider a zip pouch, egg or tea cosy, with tea, coffee and sweet treats. 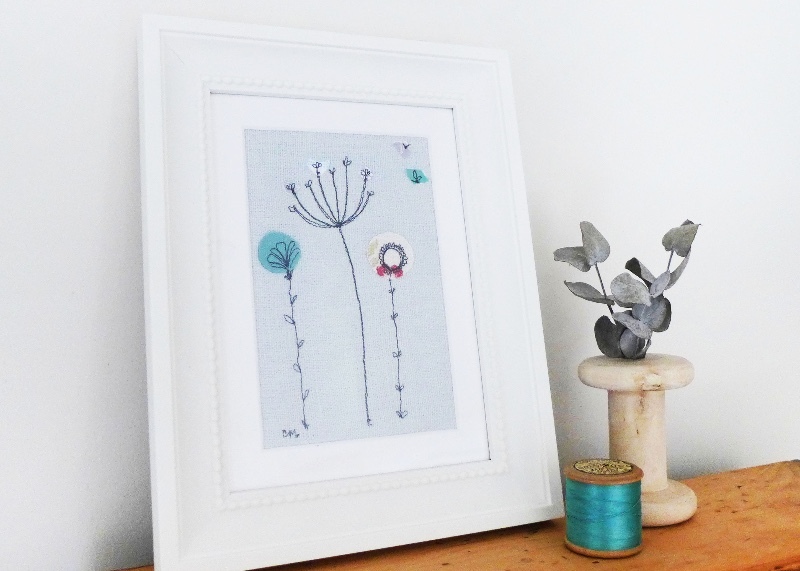 Charlotte’s unique designs range from muddy hens to embroidered woolly sheep. 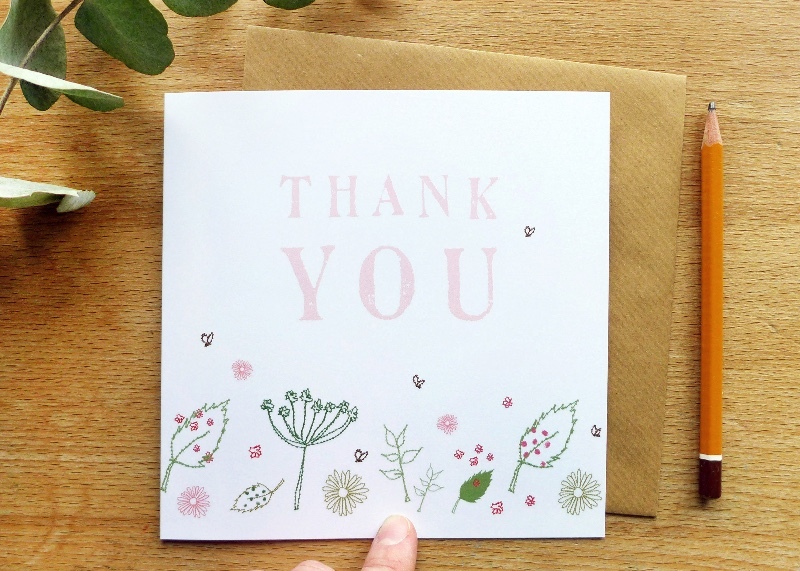 And from pretty cow parsley florals to coastal themed prints. 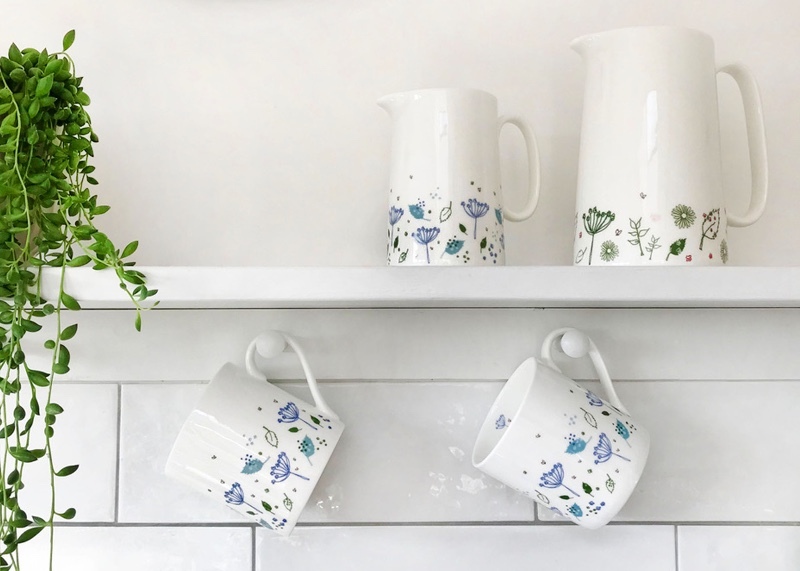 Inspired by her rural countryside surroundings, Charlotte and her small team hand make beautiful and practical items with a simple Scandinavian style. 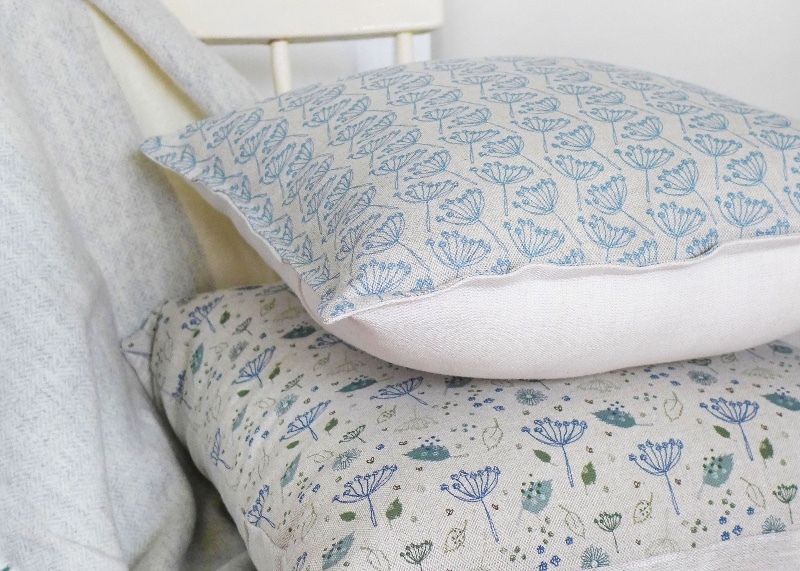 Charlotte’s printed fabric collections feature unique designs based on her original embroidered illustrations. 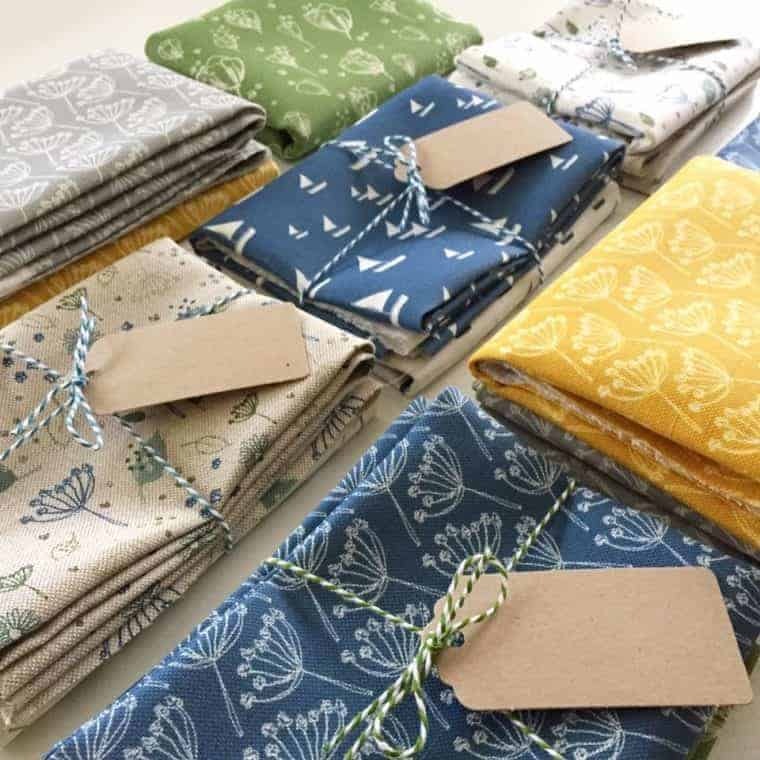 Countryside, Peas, Sailboats, Neighbourhood and Blue Parsley and the very popular Cow Parsley print available in a range of beautiful colourways. 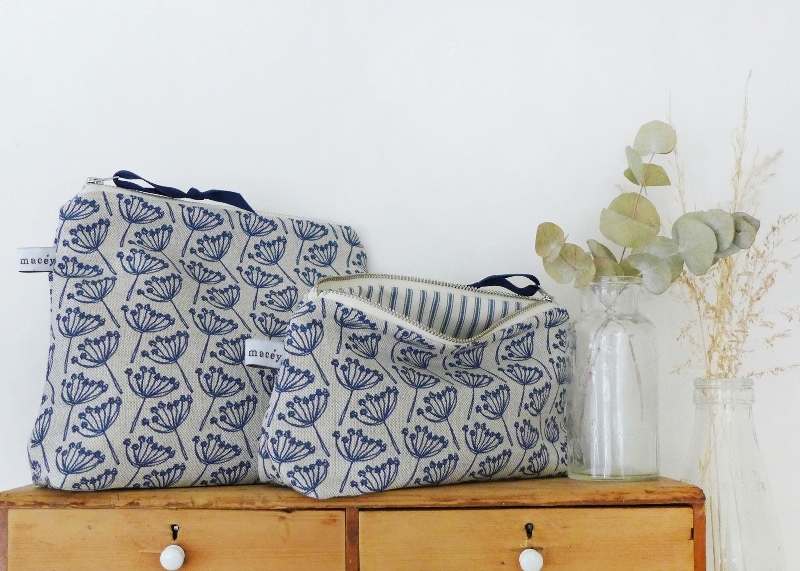 Charlotte has been hand making beautiful yet practical, embroidered and printed items for the home since 2010. 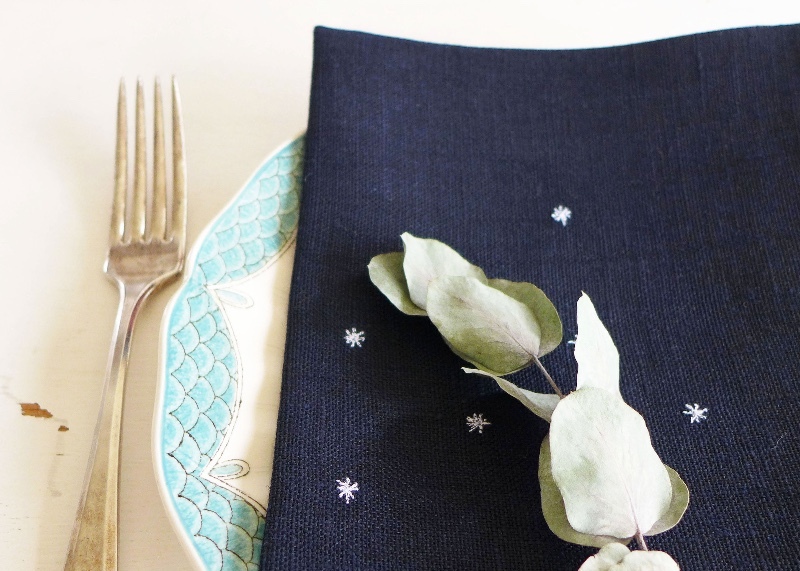 With textile design background, she quickly discovered her own unique style of illustrative embroidery. 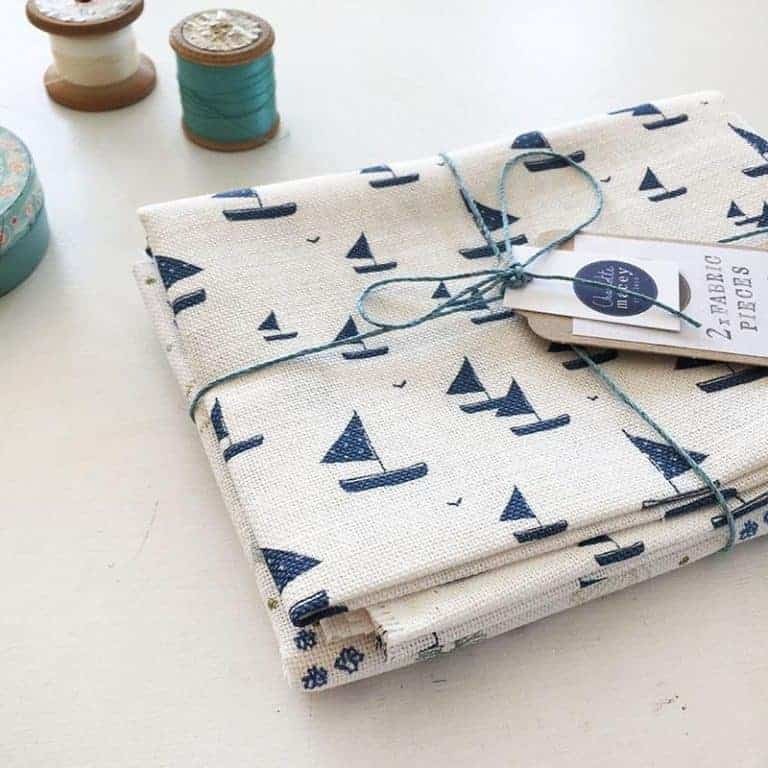 And has been hand making a unique range of homeware items for the past five years. 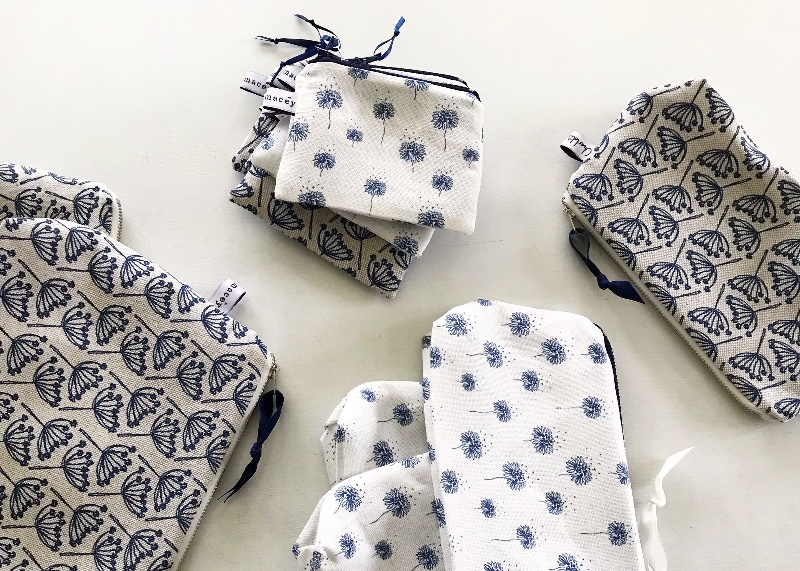 A few years ago, when her one pair of hands was no longer enough, she enlisted the help of a small team to help with production and day-to-day tasks working from her studio.